“Cleric, Knight and Workman representing the three classes”, a French School illustration from Li Livres dou Santé (late 13th century, vellum), MS Sloane 2435, folio 85, British Library/Bridgeman Art Library. This lovely historiated initial, shows France’s three classes. Not only did the third estate, le Tiers État, work, but it also paid the taxes that supported the clergy, the first estate, and the nobility, the second estate. During the last quarter of the 18th-century, France was near bankrupcy, mostly because of its recent financial contribution to North-American colonists seeking independence from Britain. France could have helped the North-American colonists, but absolutism and Louis XV’s profligacy had strained and humiliated France. In 1763, it lost New France. In 1787, Charles-Alexandre de Calonne, the controller-general of finances, asked Louis XVI to summon an Assembly of Notables, members of which Calonne hand-picked. Charles-Alexandre de Calonne did not think that his plan, the taxation of the property of nobles and clergy, would be approved by the Parlement of Paris. His predecessors had failed in this regard. The Assembly of Notables refused Calonne’s proposal and Louis XVI dismissed his controller-general of finances. Calonne had to flee to England. 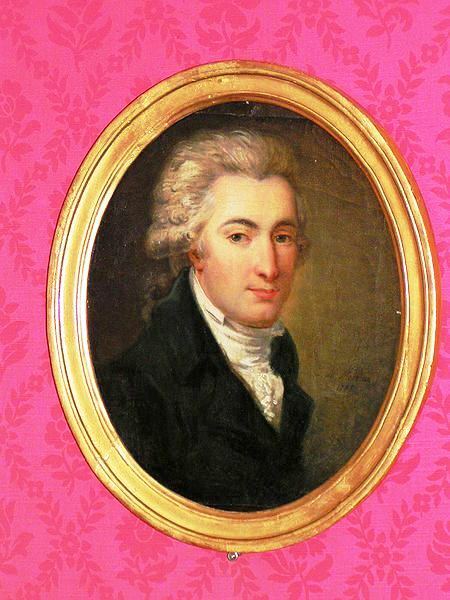 Charles-Alexandre de Calonne had also suggested that Louis XVI convene the Estates-General. Louis XVI did not do so until 1789. They first met on 5 May 1789.
not to separate, and to reassemble wherever circumstances require, until the constitution of the kingdom is established and affirmed on solid foundations. Such was the ‘spirit’ of the Revolution. The French Revolution had begun. Feudalism, in France, was abolished on 4 August 1789. I just republished a post written in March 2014. It is far too long, but under Monarchy, it includes France’s return to a Monarchy. Moreover, it spans the entire 19th century in France and could be useful to students of all ages. It expresses France’s tentativeness after the abolition of the Monarchy. Louis XVI was guillotined on 21 January 1793. The Reign of Terror had begun and it went too far. After Napoleon’s defeat at Waterloo (18 June 1815), the War of the Seventh Coalition, the Monarchy was restored. The first monarchs were members of the House of Bourbon Louis XVIII and Charles X. They were replaced by a monarch belonging to the House of Orleans, Louis Philippe I. Louis Philippe reigned until the Second French Revolution, in 1848. Both houses were Bourbon houses, the House of Orleans was a cadet branch of the House of Bourbon. Talleyrand‘s role during the Revolution, the Napoleonic Wars and the Congress of Vienna. My health is deteriorating, but I love my WordPress community. Leaving you would hurt me. The solution is writing shorter posts. You will find a new page at the top of my posts: the French Revolution and Napoleon. It is incomplete, but I will look for related posts. I would like to provide you with an overview of the history of 19th-century France. It has several insurrections and coups d’état. The first coup d’état took place on 18 Brumaire Year VIII, or 9 November 1799. It therefore precedes the nineteenth century by about six weeks. On 19 Brumaire, Napoleon I became First Consul and his government was the French Consulate. However, in April 1804, the French Sénat named him Emperor of the French, and he was crowned Napoleon I, on 2 December 1804. Joséphine was crowned impératrice (Empress), by the new Emperor, her husband. At the beginning of the 19th century, France was an unofficial Empire. As First Consul, Napoleon was the de facto ruler of France. He started rising to power during the National Convention (1792 – 1795) and continued empowering himself throughout the French Directory (1795 – 1799) as General Napoleon Bonaparte. The French Directory is identified as the third stage of the French Revolution. the Storming of the Tuileries Palace, on 10 August 1792. The Revolution was radicalized (i.e. the King became an enemy) by the Flight to Varennes (June 1791). The Flight to Varennes was followed by the Declaration of Pillnitz (August 1791) and the Brunswick Manifesto (25 July 1792) in which support for Louis XVI and Marie-Antoinette was expressed by Marie-Antoinette’s brother, Leopold II, Holy Roman Emperor and the Duke of Brunswick. The Duke of Brunswick attacked France, but was defeated at the Battle of Valmy (20 September 1792). The levée en masse (conscription of 23 August 1793) gave France and Napoleon a huge army. The French counterrevolution, can be divided in following stages. The First Republic was founded on 22 September 1792, by the newly-established National Convention. The National Convention: 21 September 1792 to 26 October 1795 (4 Brumaire Year IV). The Thermidorian Reaction (27 July 1794) put an end to the Reign of Terror. The Directory: 2 November 1795 to 10 November 1799. There were five Directors and the Directory doubled up as a style (neoclassicism). Neoclassicism became a style. On 4 September 1797, Coup of 18 Fructidor Year V (4 September 1797) suppressed Royalists and nonjuring members of the clergy. The Coup of 18 Fructidor was a genuine coup d’état, involving the military. The Coup of 18 Brumaire Year VIII (9 November 1799), created The Consulate, Napoleon I ruled unopposed as First Consul and would proclaim himself Emperor in 1804. Although the French Sénat named Napoleon Emperor of the French, on 18 May 1804, Napoleon was a mostly self-proclaimed Emperor. He was crowned on 2 December 1804 and, as noted above, he then crowned his Créole wife Joséphine impératrice. She kept that title when Napoleon married Marie-Louise of Austria. Napoleon suffered severe losses during the French invasion of Russia (1812) and at the Battle of Leipzig, faught in October 1813. France was invaded and the First Empire, dissolved. In fact, the First Empire ended twice. It ended first on 4 April 1814,[i] when Napoleon I abdicated and was exiled to the Mediterranean island of Elba, off the coast of Tuscany. Napoleon escaped and he returned to power. This period of the Napoleonic Wars (1803 – 1815) is called the Hundred Days (111 to be precise). The First Empire ended a second time, when Napoleon I was defeated at Waterloo, on 18 June 1815. After Waterloo, Napoleon was exiled to a distant island, Saint Helena, where he died of stomach cancer in 1821. The First Empire was followed by the Congress of Vienna, the foremost social and political event of the nineteenth century, conducted before and after Napoleon I’s Hundred Days. Napoleon’s Hundred Days, his return from Elba, complicated the installation of Louis XVIII, portrayed above. What a lovely child! 1830 – 1848: Louis-Philippe I (House of Orleans, elected King of the French), Louis- Philippe I is the son of Philippe Égalité, or Louis-Philippe II, who was guillotined on 6 November 1793; aged 46. Charles X undermined his reputation and popularity because of the Anti-Sacrilege Act (1825 – 1830) and because he proposed financial indemnities for properties confiscated during the 1789 Revolution (the French Revolution). His actions led to the July Revolution of 1830, when Louis-Philippe (House of Orleans) was elected Jing of the French. Louis XVII became titular (having the title of) King of France on 21 January 1893, the day his father was executed. He died of a form of tuberculosis in on 8 June 1895. He never reigned. Louis-Philippe II, Duc d’Orléans or Philippe Égalité (13 April 1747 – 6 November 1793; by guillotine). Louis-Philippe II did not reign. King Louis-Philippe III was deposed during the 1848 Revolution. In 1848, there were revolutions in many European countries, including France. In France, certain matters had to be settled: suffrage (who votes? ); the right to employment, etc. In 1848, Louis-Napoleon Bonaparte was the elected President of France, now a Republic. However, on 2 December 1851, Louis-Napoleon Bonaparte staged a coup d’état that transformed him into Napoleon III. He was the nephew of Emperor Napoleon I. Napoleon III and l’impératrice Eugénie, his wife, fled France after a Prussian victory at the Battle of Sedan, fought on 1 September 1870 during the Franco-Prussian War (19 July 1870 – 10 May 1871). Napoleon II (b. Tuileries, 1811 – d. Vienna, 1832) was named Emperor by his father Emperor Napoleon I, on 4 September 1814, the day his father abdicated. He is titular (has the title of) Emperor, but never ruled France. He died at the age of 21, of tuberculosis. Louis-Napoleon Bonaparte is the same person as Napoleon III. Louis-Napoleon Bonaparte organized the coup d’état of 2 December 1851, staged on the forty-eighth anniversary of his uncle’s, Napoleon I, coronation: 11 Frimaire XIII (2 December 1804). Princesse Sophie (b. Versailles, 9 July 1786 – d. Versailles, 19 June 1787). Louis XVII was titular King of France from 21 January 1793 to 8 June 1795. He never reigned. Patrice de Mac-Mahon, 1st Duke of Magenta (1873-1879). The Nineteenth century in France was an experiment in democracy. It was also a period of drastic changes. Feudalism survived until the French Revolution, so the 19th century was France’s Industrial Revolution. Previous forms of government were revisited, revealing tentativeness on the part of the French nation. Some idealized the Monarchy (Gustave Flaubert‘s Madame Bovary [EBook #2413]). However, in the 19th century, only Emperors resembled Absolute Monarchs; King Louis-Philippe I was elected King of the French. The Church of France had to rebuild. It’s wealth had been confiscated in the early days of the French Revolution, at the suggestion, on 10 October 1789, of Charles-Maurice de Talleyrand-Périgord,[ii] an ordained priest and a bishop. [i] See Treaty of Paris (1814), Wikipedia. [ii] André Castelot, Talleyrand ou le cynisme (Paris: Librairie académique Perrin, 1980), p. 64. [iii] In The Eighteenth Brumaire of Louis Bonaparte, Karl Marx writes that the coup d’état occurred between December 1851 and March 1852. On 14 July, I wanted to publish a post on Eugène Delacroix (26 April 1798 – 13 August 1863), one of two illegitimate sons fathered by Charles Maurice de Talleyrand Périgord (2 February 1754 – 17 May 1838) (2 February 1754 – 17 May 1838), but life took me to a second parking lot narrative. I am learning over and over again that planet Earth is not “the best of all possible worlds” (Voltaire’s Candide). But let us first take a brief look at events, art, and life in 19th-century France. 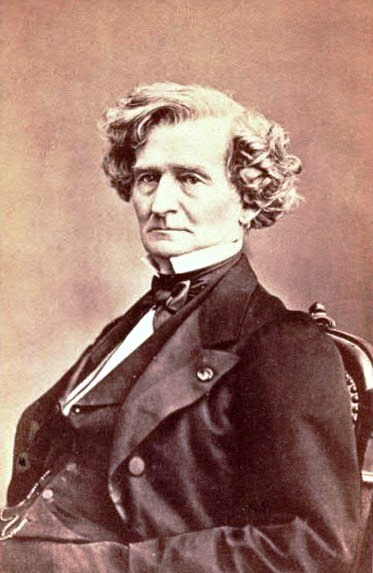 We have already met le duc de Morny (15–16 September 1811, Switzerland – 10 March 1865, Paris). He transformed the talented and beautiful Marie Duplessis (15 January 1824 – 3 February 1847) into Paris’ most prominent salonnière and courtesan. At that time in history, many marriages were arranged. In the aristocracy, lineage was a priority. Consequently, men took a mistress. The duc de Morny was born to Hortense de Beauharnais (10 April 1783 – 5 October 1837) and Charles Maurice de Talleyrand-Périgord’s grandson. But Hortense, whose mother, Joséphine de Beauharnais, married Napoleon I, married Napoleon’s brother, Louis Bonaparte, king of Holland. Part of Delacroix’s story was told in a post entitled Eugène Delacroix’s “Mandarin Drake” (5 June 2014). Delacroix is associated with Romanticism and therefore differs from Jacques-Louis David (30 August 1748 – 29 December 1825) who is presented to students of the fine arts for works such as his Oath of the Horatii, a painting in the neoclassical style. Yet David is also the artist who painted The Death of Marat (1793), a masterpiece one cannot easily subject to pigeonholing. Jean-Auguste-Dominique Ingres (29 August 1780 – 14 January 1867) is also a very prominent painter. His Grande Odalisque (1814) is magnificent, despite its share of Orientalism: Art is Art. Between 1792 and 1871, France was a Republic, twice; a Monarchy, twice; an Empire, twice, and it suffered a Second French Revolution, which took place in 1848. The 1848 French Revolution echoed various uprisings occurring in several European countries, some rooted in decisions made at the Congress of Vienna (November 1814 to June 1815), which ended the Napoleonic Wars, others reflecting national disasters, such as the Greek War of Independence. The Greek War of Independence inspired Delacroix, and Lord Byron (2 January 1788 – 19 April 1824). Lord Byron had in fact, become a militant who died of a fever he contracted at Missolonghi. I would like to provide you with an overview of the history of 19th-century France. It has several insurrections and coups d’état. The first coup d’état took place on 19 Brumaire Year VIII, or 9 November 1799. It therefore precedes the nineteenth century by about six weeks. On 19 Brumaire, Napoleon I became First Consul and his government was the French Consulate. However, in April 1804, the French Sénat named him Emperor of the French, and he was crowned Napoleon I on 2 December 1804. Joséphine was crowned impératrice (Empress), by the new Emperor, her husband. The Revolution was radicalized (i.e. the King became an enemy) by the Flight to Varennes (June 1791). The Flight to Varennes was followed by the Declaration of Pillnitz (August 1791) and Brunswick Manifesto. The levée en masse (conscription of 23 August 1793) gave Napoleon and France a huge army. After the monarchy was abolished, we reach the second stage of the French Revolution or the counterrevolution. The National Convention: 21 September 1792 to 26 October 1795 (4 Brumaire IV). The Thermidorian Reaction (27 July 1794) put an end to the Reign of Terror. The Directory: 2 November 1795 to 10 November 1799. There were five Directors and the Directory doubled up as a style (neoclassicism). Neoclassicism became a style as a result of the Coup of 18 Fructidor or 4 September 1797. 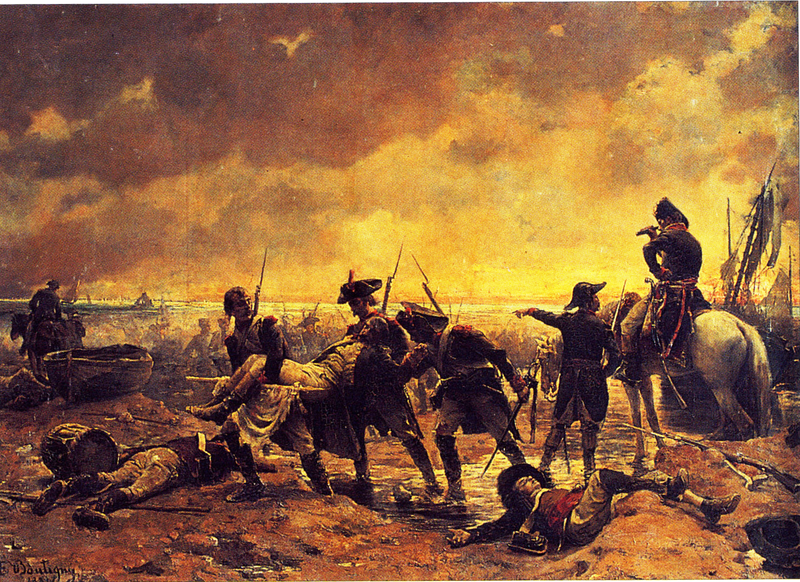 Eighteenth (18) Fructidor was a genuine coup d’état, involving the military. The Consulate (18 Brumaire [9 November 1799] – 1804). As First Consul, Napoleon I ruled unopposed. Although the French Sénat named Napoleon Emperor of the French, on 18 May 1804, Napoleon was a mostly self-proclaimed Emperor. He was crowned on 2 December 1804. He then crowned his Créole wife Joséphine impératrice. She kept that title when Napoleon married Marie-Louise of Austria. 1830-1848: Louis-Philippe I (House of Orleans, elected King of the French), Louis Philippe III is the son of Philippe Égalité, or Louis-Philippe II, who was guillotined on 6 November 1793; aged 46. Louis-Philippe II was the son of Louis-Philippe I, the brother of Louis XIV. The king’s brother may be called Monsieur and his wife Madame. Charles X undermined his reputation and popularity because of the Anti-Sacrilege Act (1825 – 1830) and because he proposed financial indemnities for properties confiscated during the 1789 Revolution (the French Revolution). His actions led to the July Revolution of 1830, when Louis-Philippe III (House of Orleans) was elected King of the French. King Louis-Philippe I was deposed during the 1848 Revolution. In 1848, there were revolutions in many European countries, including France. In France, certain matters had to be settled: suffrage (who votes? ); the right to employment, etc. In 1848, Louis-Napoleon Bonaparte was the elected President of France, now a Republic. However, on 2 December 1851, Louis-Napoleon Bonaparte staged a coup d’état that transformed him into Napoleon I. He was the nephew of Emperor Napoleon I. Napoleon III and l’impératrice Eugénie, his wife, fled France after a Prussian victory at the Battle of Sedan, fought on 1 September 1870 during the Franco-Prussian War (19 July 1870 – 10 May 1871). Louis-Napoleon Bonaparte is the same person as Napoleon I. Louis-Napoleon Bonaparte organized the coup d’état of 2 December 1851, staged on the forty-eighth anniversary of his uncle’s, Napoleon I, coronation: 11 Frimaire XIII (2 December 1804). Some idealized the Monarchy (Gustave Flaubert‘s Madame Bovary [EBook #2413]). However, in the 19th century, only Emperors resembled Absolute Monarchs; King Louis-Philippe III was elected King of the French. The Church of France had to rebuild. It’s wealth had been confiscated in the early days of the French Revolution, at the suggestion, on 10 October 1789, of Charles-Maurice de Talleyrand-Périgord,[ii] an ordained priest and a bishop. On 21 March 1804, aged 31, His Serene Highness, the Duke of Enghien, born on 2 August 1772, was executed by single firearm. He was an émigré, but dragoons captured him and brought him to Strasbourg on 15 March 1804. He was the grand-son of Louis XIV, by Madame de Montespan, and the son of Louise Marie Thérèse Bathilde d’Orléans, the Duke of Orléans’ sister. Philippe duc d’Orléans, or Philippe Égalité, the duc d’Enghien’s uncle, voted in favour of his brother’s, Louis XVI, execution, by guillotine. There were of course many Royalists among the French during the French Revolution (1789-1794). Particularly noteworthy is a failed invasion of France called l’affaire Quibéron portrayed above by artist Paul-Émile Boutigny (1853 -1929). On 23 June 1795, émigrés landed at Quibéron to lend support to the Vendéens, who had long fought Revolutionary forces, and the chouannerie, royalist uprisings. The émigrés hoped they could raise support in western France, end the French Revolution and re-establish the monarchy. By 21 July 1795, they had been routed. As for the duke, nothing could be done to save him. If Joséphine de Beauharnais,[i] Napoléon I‘s first wife, could not dissuade her husband, born Napoleone Buonaparte, no one could. Joseph Fouché, 1st Duc d’Otrante (known as the Duke of Otranto), Napoleon’s chief of police, said of the execution that “it was worse than a crime, it was a mistake:” “C’est pire qu’un crime, c’est une faute.“ The crime, for it was a crime, was imputed, probably wrongly, to Charles Maurice de Talleyrand-Périgord, one of history’s foremost survivors. However, if the murder of the young duc d’Enghien is remembered to this day, it is as an obvious injustice, one that lingered in the mind of great writers. “[T]he dominant sentiment in Bonaparte’s mind at that moment was neither fear nor vengeance, but rather the desire for all of France to realise that Bourbon blood, so sacred to Royalist partisans, was no more sacred to him than the blood of any other citizen in the Republic. Let these words be the conclusion of this post. The duc d’Enghien was a scapegoat. 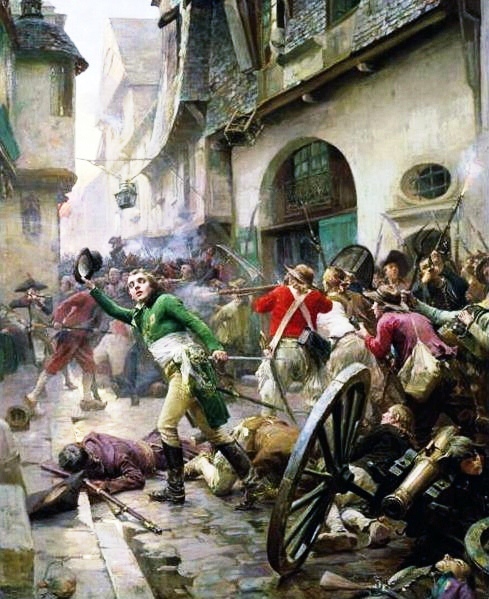 Henri de La Rochejacquelein at the Battle of Cholet in 1793 by Paul-Émile Boutigny (10 March 1853 – 27 June 1929), Musée d’art et d’histoire de Cholet. [i] Napoleon divorced Joséphine in 1810 so he could marry Marie Louise d’Autriche, the future Duchess of Parma, who gave him a son. Napoléon wanted un ventre, a fertile woman. [ii] Napoleon had epileptic seizures. One of Talleyrand’s duties was to remove Napoléon from public sight when seizures occurred. [iii] Jean-Jacques Régis de Cambacérès, 1st Duke of Parma, is the author of the Napoleonic Code, a fine document still in use in Quebec. [iv] See Duc d’Enghien, Wikipedia.